Mascots are a complicated phenomenon. They inspire a spectrum of reactions: ridicule, ambivalence, or fierce loyalty. With thousands of yearbooks online, all of us here at the Digital Heritage Center have probably spent more time looking at yearbooks than anyone else you’re likely to meet. Mascots are a common theme. 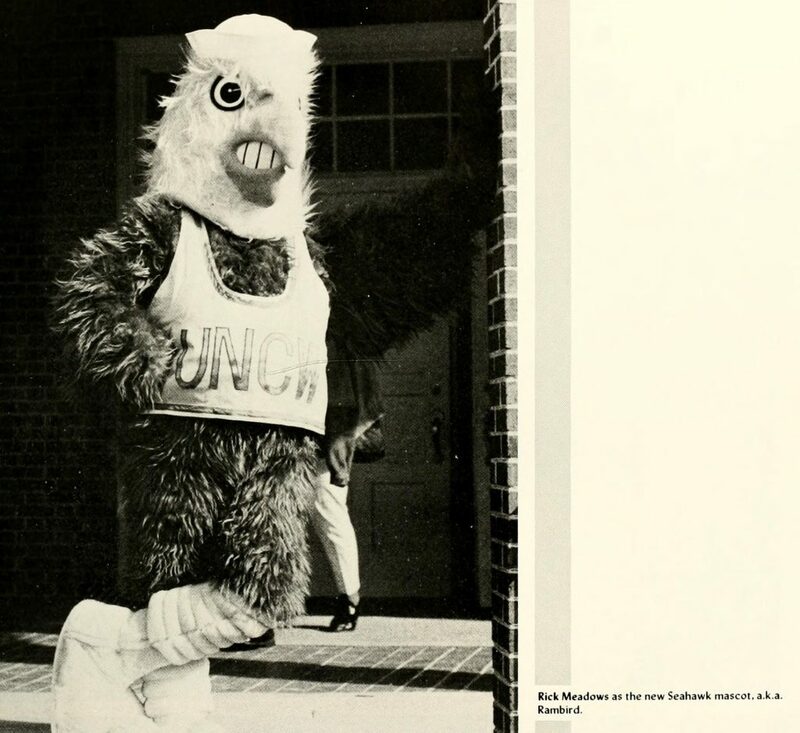 I’ve been working on today’s post for quite some time; unable to find a history or comprehensive list of mascots in North Carolina I decided to compile one myself. So here’s a stab at a college mascot overview, drawn from yearbooks and other campus publications. Let me know what I’ve missed or gotten wrong! In the early 20th century, schools frequently chose children as mascots or sponsors, whether for a sports team or for a particular class. The earliest example we’ve found on DigitalNC is from a 1910 publication by Atlantic Christian College (now Barton College) in Wilson, which shows Elizabeth Settle Caldwell as the Senior Class sponsor. 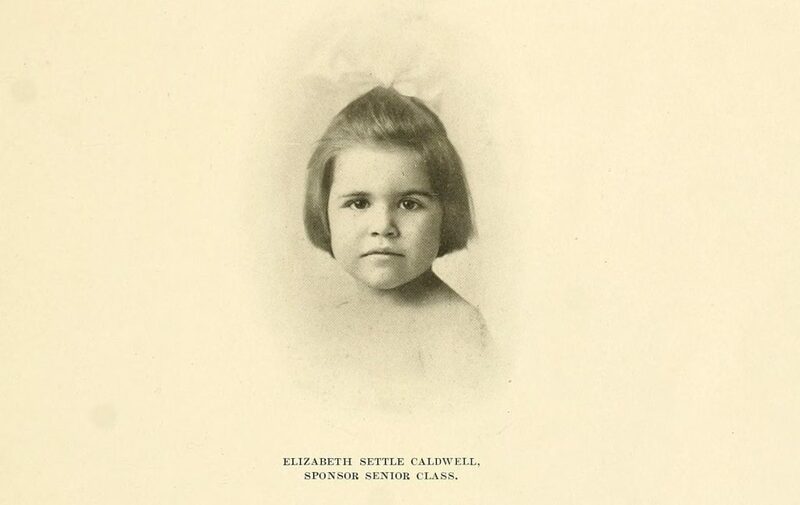 Elizabeth Settle Caldwell, First North Carolina Mascot? From the 1910 Pine Knot yearbook, Atlantic Christian College. Ms. Caldwell was the daughter of Jesse Cobb Caldwell, the college president. 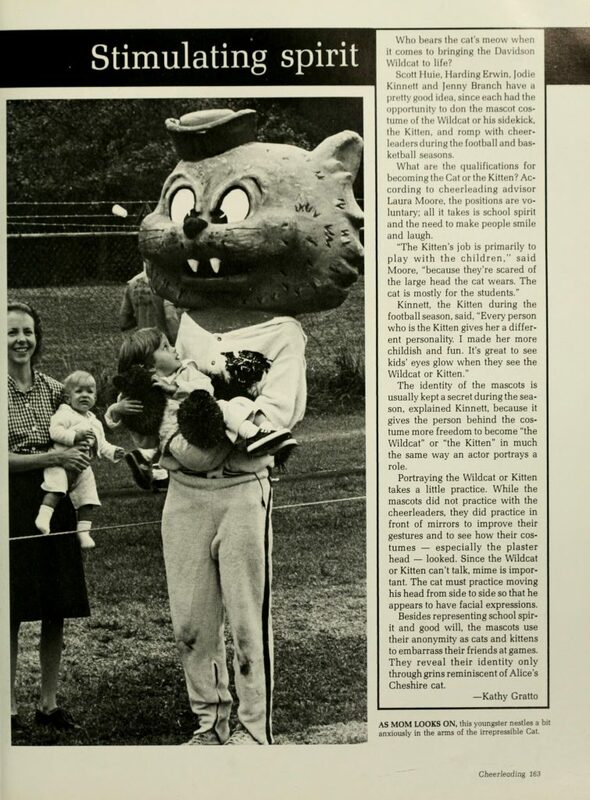 From what we’ve been able to tell, children mascots were frequently younger siblings of students, teachers, or others associated with the school. Students mention that Ms. Caldwell brought “solace to many a lonely, homesick heart” and this may be why children were chosen – to foster a feeling of family and comfort among students. We’ve seen several references to mascots being elected or being chosen through competition, although what this might be we haven’t been able to discover. The trend of choosing children as mascots seems to continue through the 1960s. 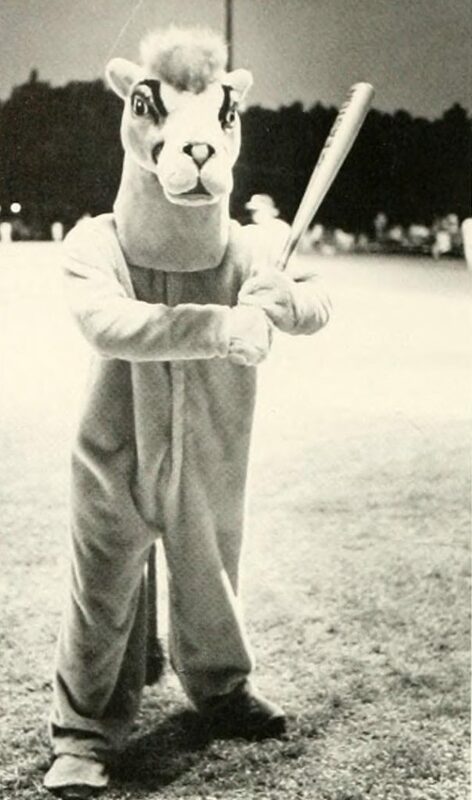 The latest one we found is Dawn, the Senior Class mascot at Peace College (now William Peace University) in 1966. Animal mascots span schools across the state, whether it’s Rameses at UNC-Chapel Hill or WCU’s Catamount. The bulldog and different types of cats win out as most frequently adopted. Pictures of live animal mascots start to appear in yearbooks in the early 1900s, and continue today although much less frequently. For a variety of reasons, including concerns expressed by animal rights activists, schools have shifted away from actual animals to students dressing up like animals, as you’ll see later on in this post. 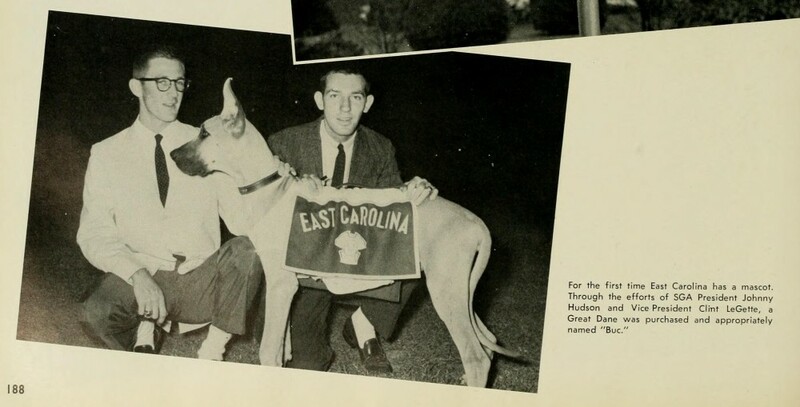 “Buc” is described here as East Carolina University’s first mascot. From the 1959 Buccaneer yearbook. 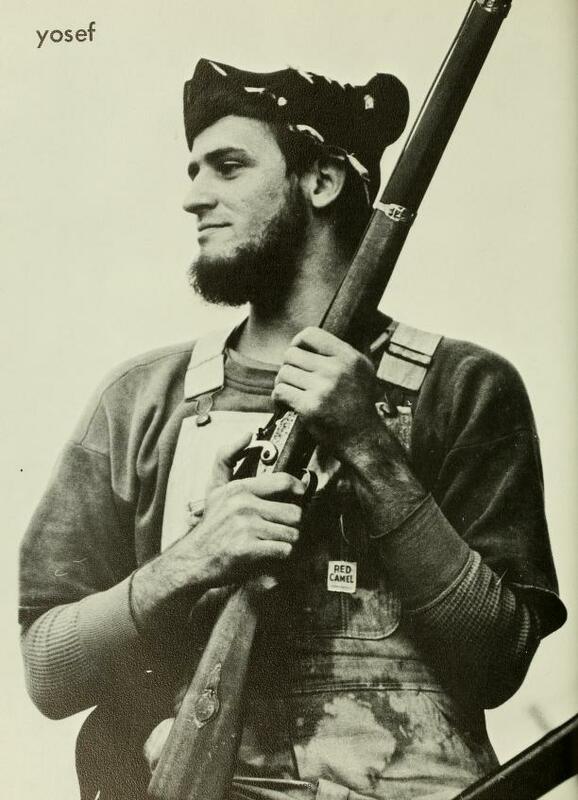 Yosef the Mountaineer, aka James Randle Tedder (we think). From the 1969 Rhododendron yearbook, Appalachian State University. 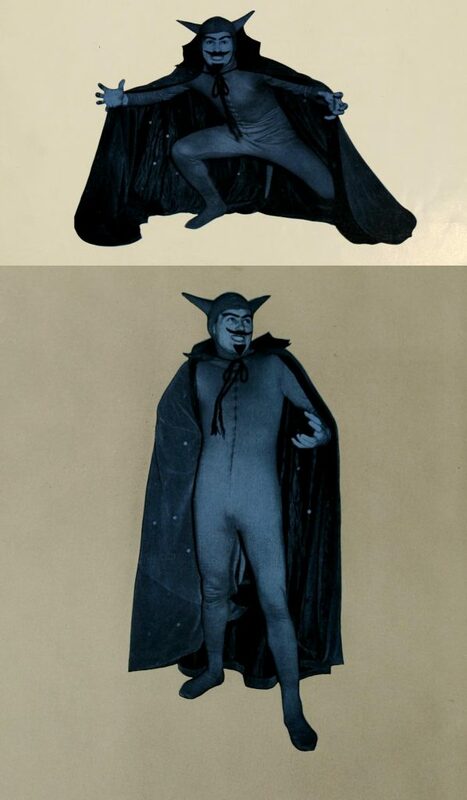 The Blue Devil. From the 1950 Chanticleer yearbook, Duke University. Perhaps it was too hard to maintain a degree of consistency as students graduated over the years, and mascot anonymity seemed like a better idea. Whatever the reason, you start to see fuzzy, oversized costumes with gigantic headpieces in the late 1970s. The Seahawk. From the 1987 Fledgling yearbook, UNC-Wilmington. The Davidson Wildcat and … friends. From the 1983 Quips and Cranks yearbook. The Campbell Camel. From the 1983 Pine Burr yearbook. 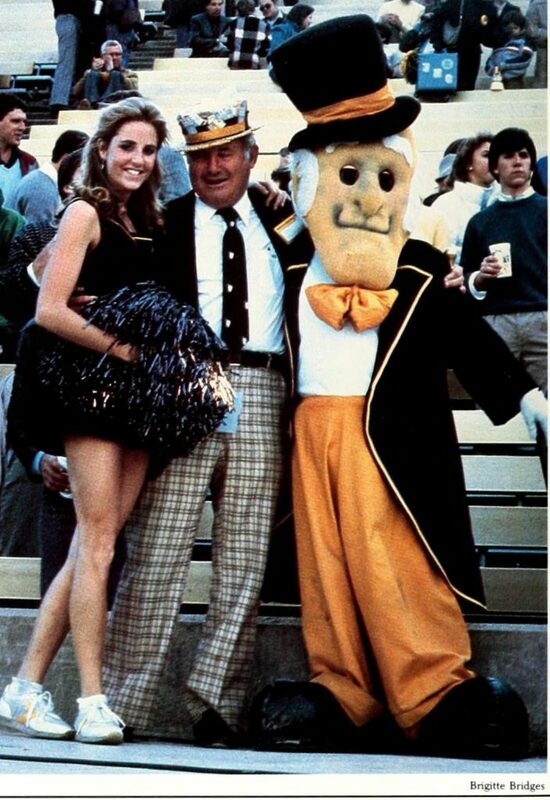 Wake Forest’s Deacon poses with fans. From the 1985 Howler yearbook. The Elon Fighting Christian mascot with cheerleaders. From the 1986 Phi Psi Cli yearbook. 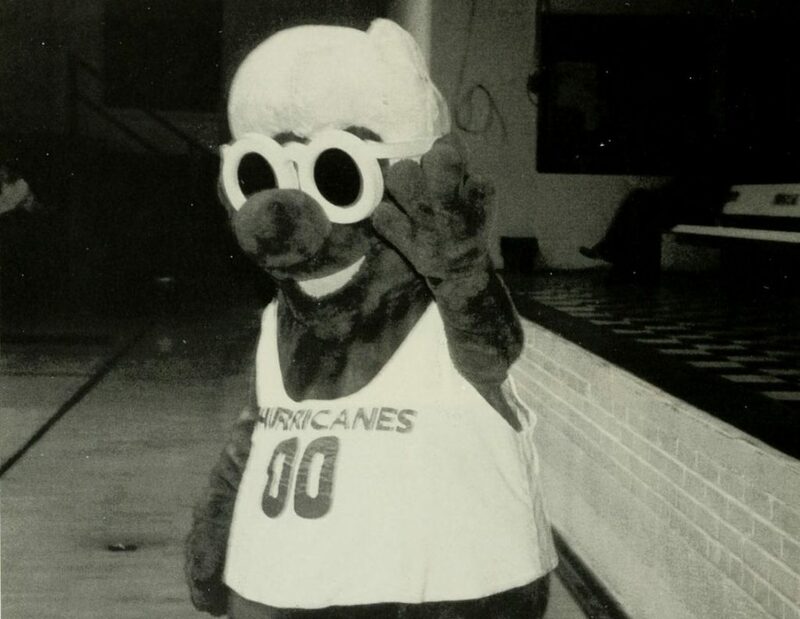 Louie, the former Louisburg College Hurricanes mascot. From the 1996 The Oak yearbook. Who knows when the next mascot sea change will happen. Below is a list of mascots in North Carolina; let us know if we got anything wrong. Which one is your favorite?